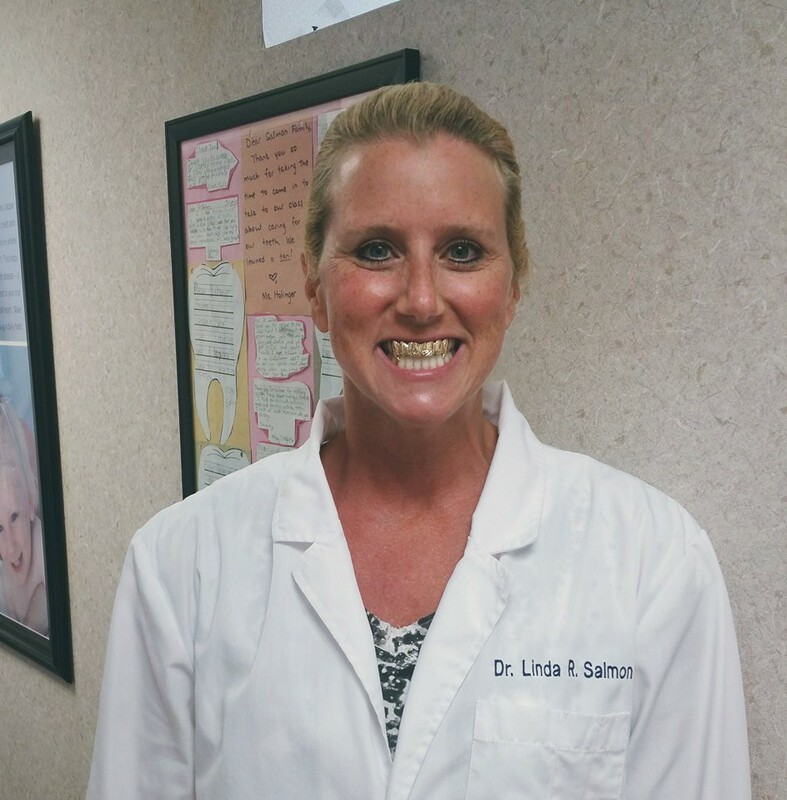 Impressions must be done in our office to acquire an accurate mold of your teeth, which will allow us to make a custom grill. 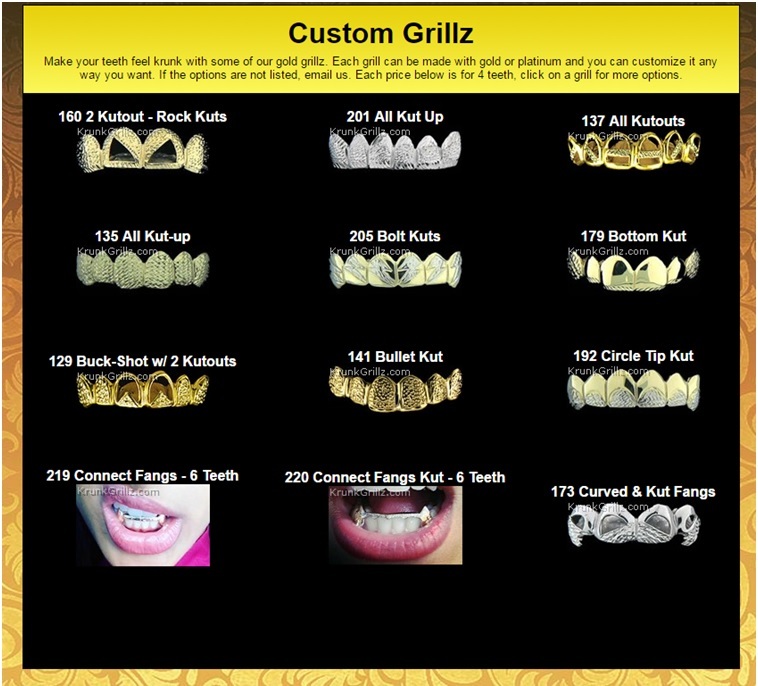 In hip hop culture a grill (also front or golds) is a type of jewelry worn over the front teeth. Grills are made of metal and are generally removable. 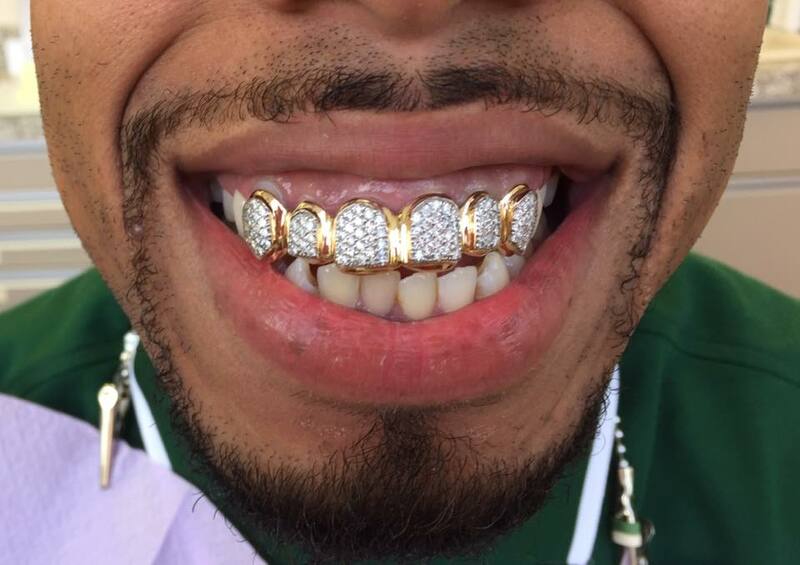 Grills are made of several types of metal (often silver, gold or platinum) that is sometimes inlaid with precious stones or diamonds; they are generally removable, though some may be permanently attached to the teeth. 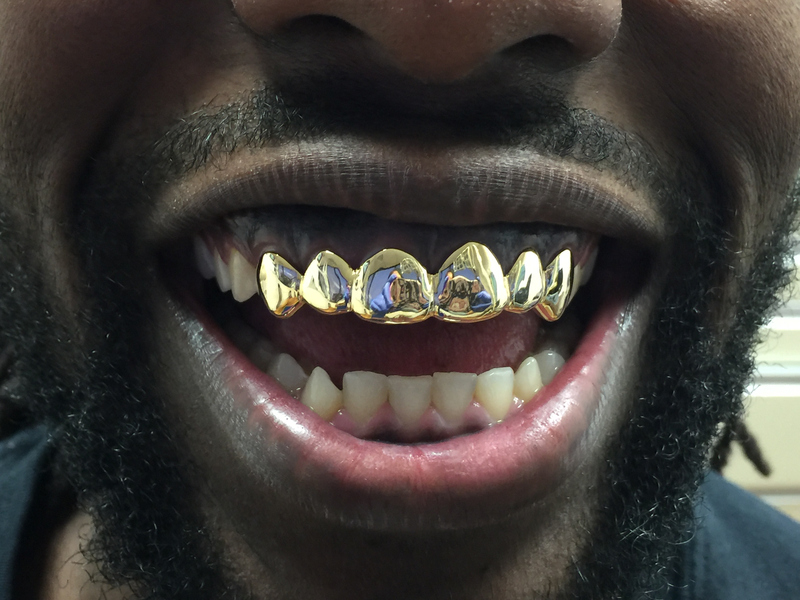 Gold grills can be made from 10 karat, up to 24 karat gold. The gold can be tinted yellow, white and rose color.